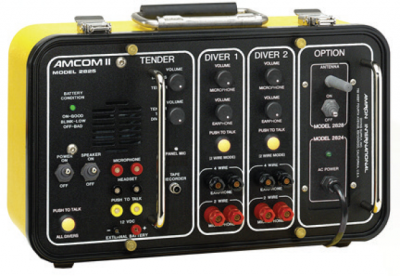 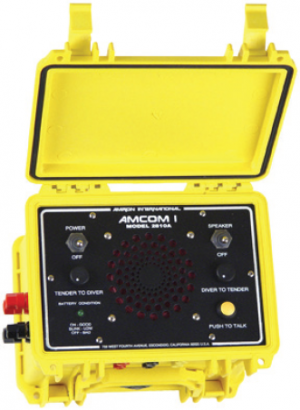 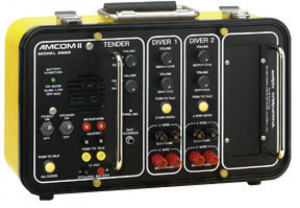 The Amcom II Wireless Tender (2825) is a great option when the tender has to move around the deck checking equipment while keeping in communication with the diver. 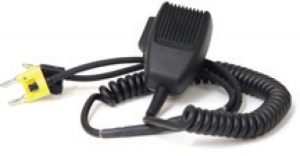 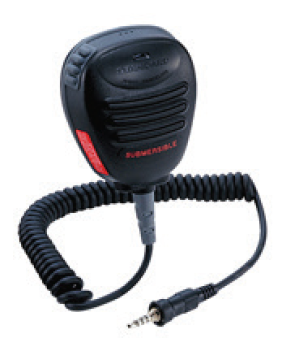 This series includes hand-held push-to-talk microphone and the wireless tender option. 2825A with AC Power, battery backup and wireless tender option.